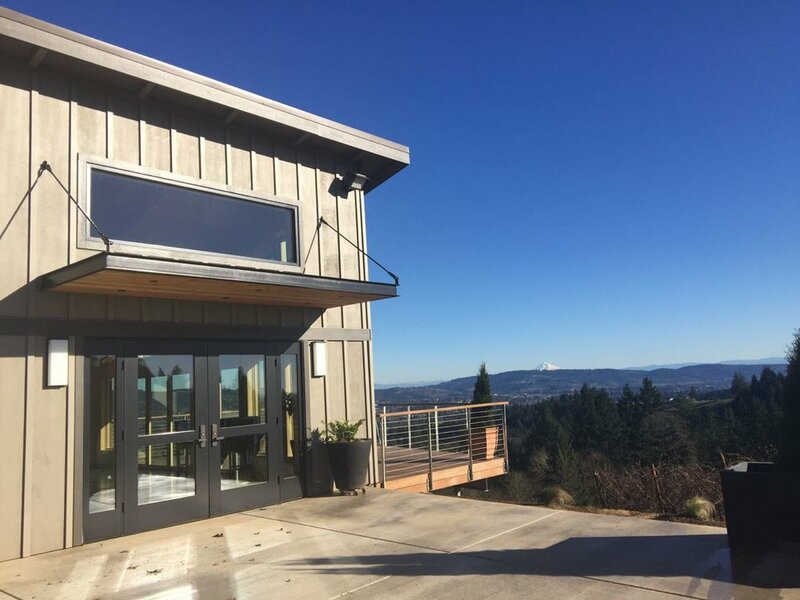 The new, contemporary tasting room frames dramatic views of Mt. Hood and the surrounding vineyard landscape. 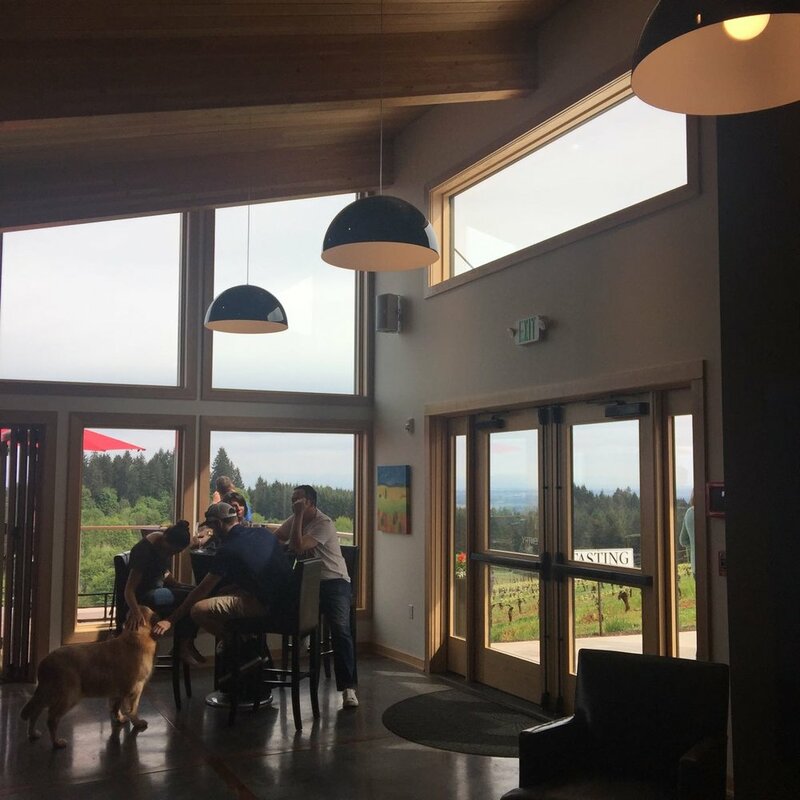 Winery guests can now step outside on the new deck, hovering above the vineyard below.